On with the Yank girls… In a city of beautiful women that was Hollywood in the 1930s, Delma Byron was a stand-out and that is certainty saying something. With smooth, porcelain skin, pale blonde hair and a regal bearing, she was truly a perfect example of a stunning lady-like beauty. Too bad she ended up a minor actress (but not a complete unknown). Sara Delma Bynum was born on July 31, 1912, in Weakley County, Tennessee, to Samuel H. Bynum and Minnie Pearl Harris. Her older sister, Dulcie, was born on July 19, 1910. Unfortunately, Minnie died in 1914, when Sara was only 2 years old. Samuel remarried to Reoma A. Gargus, a Kentucky native who ultimately raised both Dulcie and Sara. Her half brother James was born in 1919. The family moved around a bit, settling for a time in Kentucky. They were living in Akron, Ohio, in 1930. The family moved back to Kentucky at some point after 1930. Sara was a lively child who studied dancing from the age of ten. After high school, Delma ran away from home to join a revue as a dancer. 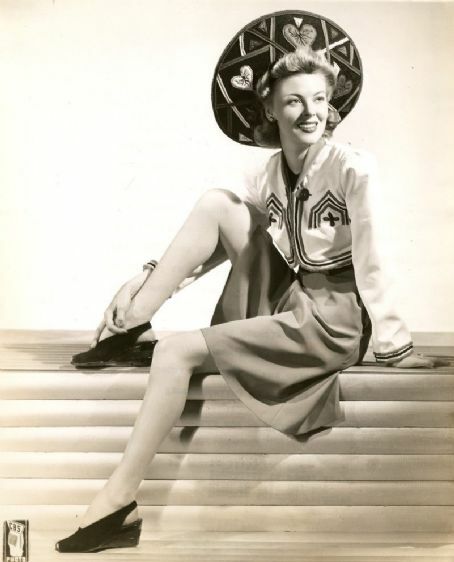 She toured the southern states in a troupe then later took a job modeling clothes. The became an actress and toured with a stock company. 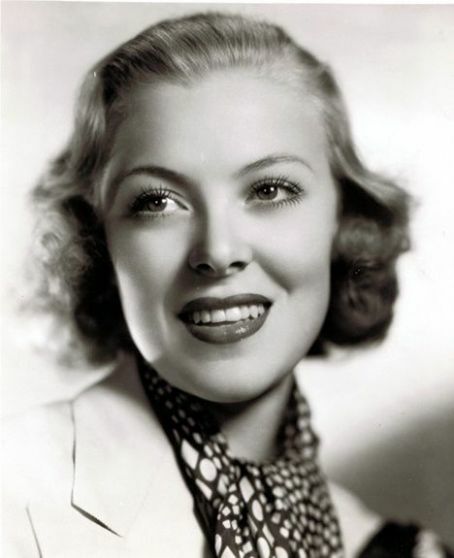 In 1935, after years of stage experience, she was discovered by 20th Century Fox and given a chance in films. 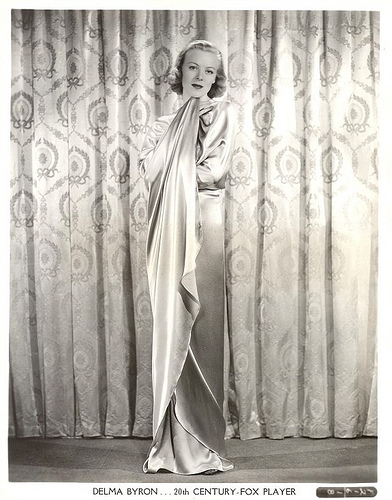 Delma, despite her exquisite beauty, had a very thin movie resume, and only a slightly more expansive TV resume. Her best known movie came very late in her career, something I have rarely seen in any actress’ filmography. Delma made her debut in Professional Soldier, a movie that’s very successful at what is tried to be – a lightweight, fun and colorful action movies, aimed for men and boys. The plot is simple enough: major star of the day, iron jawed Victor McLaglen plays a professional soldier who is hired to kidnap a king, played by kiddie star Freddie Bartholomew, but he gets much more than he bargained for. it’s not a world-class masterpiece, but it works wonderfully. Victor is superb as always. Delma had a bigger role in Everybody’s Old Man, based on a strikingly contemporary (even today) story – taken from imdb – The leading actor, Irvin Cobb, plays a grumpy, but very successful businessman who holds a grudge against his main competitor, who is also a former friend. When the friend dies suddenly, Cobb investigates the competing company and finds that his friend’s son and daughter have been wasting all their money and are in danger of losing the company to some conniving executives. He does his best to straighten out the profligate kids and nurtures a romance between his son and the competitor’s daughter. Cobb is not quite up to the task, and the movie suffers accordingly. Champagne Charlie is a typical, run of the mill 1930s B movie. Short summary, taken from IMDB: B-film from Fox has a gambler known as Champagne Charlie (Paul Cavanagh) getting behind on debts so he decides to marry a society girl (Helen Wood) so that he can get her money but the poor sap ends up falling in love. There is nothing to recommend the movie, but it’s not a bad piece of work, and features some pretty good character actors. Dimples became THE movie of Delma’s early filmography, and the first one that gathered her some major newspaper coverage. Why? Because it was a Shirley Temple vehicle, that’s why! In a time when Shirley was de facto number one star of Hollywood, when she saved studios from bankruptcy and was as influential as any politician, it was A BIG thing to act in a Shirley Temple movie. And Delma had that honor. Something about the plot: Dimples Appleby lives with the pick-pocket grandfather in 19th century New York City. She entertains the crowds while he works his racket. A rich lady makes it possible for the girl to go legit. “Uncle Tom’s Cabin” is performed. It’s easy to get the drift of this movie. The plot is secondary, the music and dancing are good enough, Shirley is so cute and vivacious she just steals your heart away, she is supported by tons of good older character actors and beautiful younger actors. Delma squarely fits in the later category. Let’s try and appraise this role realistically: it was without a doubt a major boost for Delma’s publicity. And when you are a young and pretty starlet hungry for fame, this is a good thing. However, in hindsight, it’s clear that acting as a second fiddle in a movie that’s centered on a 10-year-old child is not the way to go if you want a solid acting career. It’s impossible to deny that some actors propel this into lucrative careers, but they are few and far between, and Delma wasn’t one of them. Despite all the hullabaloo surrounding the movie, she quickly faded into obscurity. Delma made only one more movie in the 1930s, Laughing at Trouble. Plot: Jane Darwell is Glory Bradford, a newspaper editor whose niece is in love with John Campbell (Allan “Rocky” Lane), unjustly accused of murdering his wealthy uncle with a knife. After the jury returns a guilty verdict, Campbell escapes from prison and hides out at Glory’s home, with the alert Sheriff (James Burke) following close behind. Leading the chase with his German Shepherd in tow, is hot-headed Deputy Sheriff Alec Brady (John Carradine), determined to replace his boss as the town sheriff, who doesn’t hesitate to shoot the elusive Campbell against the Sheriff’s orders. The local doctor (Frank Reicher) gives Campbell the okay to remain at Glory’s due to his near-fatal injury, while Brady resigns and begins to work up the townspeople into an outraged mob over their harboring of an escaped criminal. During the evening, a remark from unmarried gossip Lizzie Beadle (Margaret Hamilton), about $10,000 in Treasury bonds belonging to Campbell’s late uncle, helps lead Glory to the true identity of the real murderer. The movie looks good enough, and tackles some interesting questions, but it’s almost lost today and obviously not remembered as well as it should have been. Delma plays the blonde ingenue, and it’s clear that if she remained in Hollywood for a longer stretch of time, she would have continued to mold this thankless stereotype. She was so beautiful and fragile that I find it hard to believe she could have broken the bound to become a proper dramatic actress. Hollywood is just like this sometimes. Aware of her status, Delma quite movies and devoted herself to other pursuits. In 1958 Delma appeared in Auntie Mame, her most famous movie and best remembered role. What more need sot be said about this infinitely charming movie? Roz Russell is a gem, the writing is superb and the movie in general is truly emotional and touching. Classic Hollywood filmmaking at its best. Delma plays Sally Cato. Delma stayed active in the theater for some time after, but never made another movie. 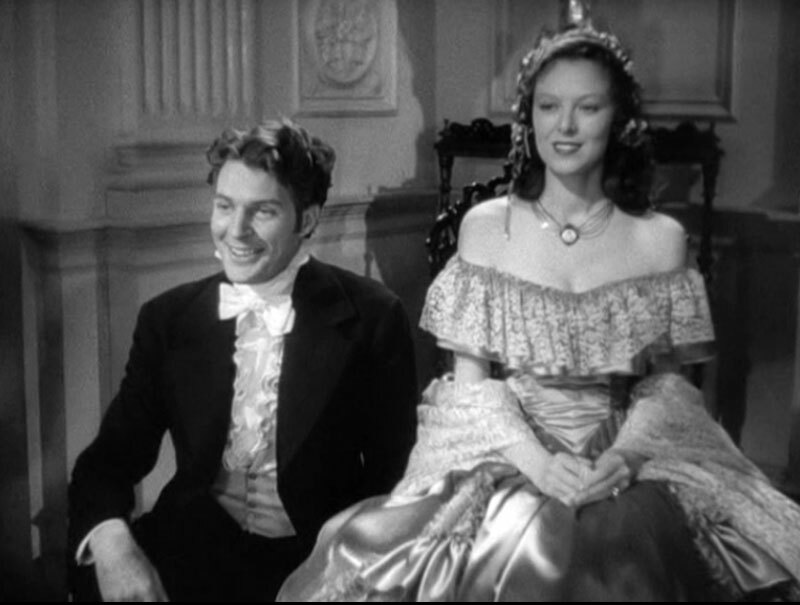 Delma was a constant duet with your Australian actor, Alan Marshal, in 1936. For a while it was tough thy might get to the altar, but the relationship fizzled before the year was out. In January 1937, she was the leading contender for the marriage altar with Howard Lang, who took her out for five nights in a row (swoon!). In 1937, Delma became engaged to Frank Hervey Cook, a member of a well-known Helena, Montana oil family. Cook was born on November 28, 1899, in Colorado Springs, Colorado. His father died when he was a boy and his mother remarried to A.B. Cook, was a world renown grower of blooded livestock. He attended St. Paul’s School in Concord, New Hampshire, graduating in 1919. He assisted his adopted father on the ranch, and after his death operated the ranch on a smaller scale. In 1931 he married Lena (Sally) Gosnell Finley, heiress of the Gosnell oil fortune. She died of a heart ailment August 5, 1933. He was a widower when he met Delma. This relationship lasted for several years, and Delma was a frequent guest at the home of Frank’s sister Gloria Walker (for propriety’s sake, of course). However, by 1942, after years of dating, they seemed to have gone kaput! In 1953, Cook moved the Dunleavy house to the Bedford Ranch north of Townsend, Montana. He rarely left the ranch and never remarried. Frank Hervey Cook was murdered there, in an apparent robbery attempt, on November 22, 1970. Three men were arrested under the suspicion for his murder. In 1943, Delma was dating Ken Spalding of the Tobacco Road ensemble show. Sometime after 1945, Delma moved to Europe and became an accomplished sculptress when she lived in Venice, Italy. She returned to the States in the late 1940s. She settled in New York and was active in the theater circles. Delma married the international bob vivant, Yura Arkus-Duntov, in 1945. Google his name, there is so much to be written about the man! They divorced sometime after 1950. In the 1970s, she retired from showbiz and moved to Kentucky, where both her sister and brother lived. There she was a much-loved member of the community and enjoyed her golden years surrounded by family and friends. Delma Byron died on May 29, 2006, in Leland, Kentucky. 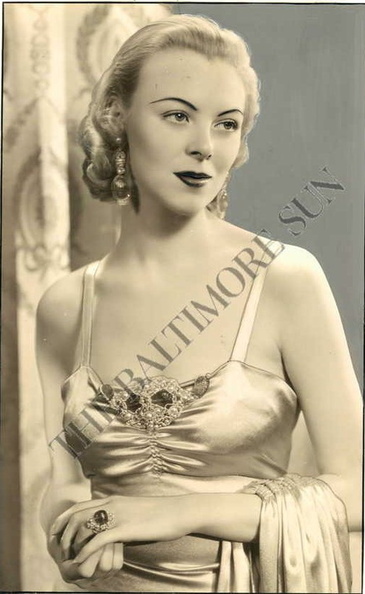 Delma was one of the most beautiful actresses of that era, she loved broad -way shows and was a lover of the arts, she was married though in around 1945 to a man named yura arkas-duntov. His brother is considered the “founding father of the corvette” .He was also the president of the Dreyfuss fund and was involved with talks with mai-van bo during the Vietnam war. 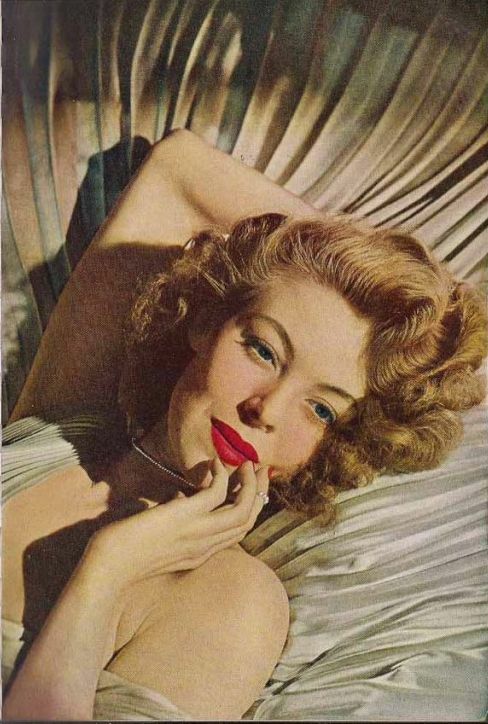 She led an incredible well traveled life considering she had a tough beginning with the loss of her mom at such an early age .If there was ever a lady with such sophistication in Hollywood it was Delma Brook Byron”. Hi Tony! Thanks for the info! I couldn’t find any mention of a marriage so I assumed she was not married. This was very helpful! My aunt, Sara Delma Bynum, ultimately changed her name from Delma Byron to Brook Byron, which is the name she went by from the mid 60s onward. She spent her final years in Leland, Michigan, not Kentucky. Leland is where my husband and I cared for her, and where other members of her Kentucky family visited her regularly.